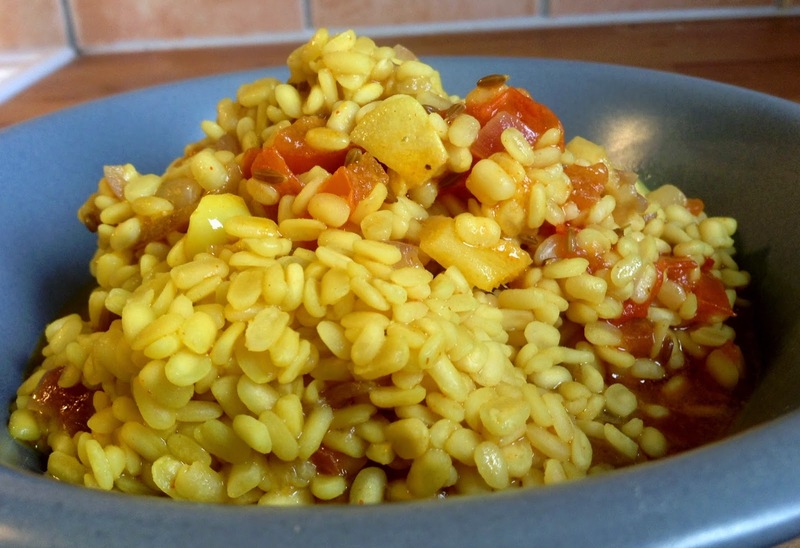 Urad Dal is one of my personal favourites since childhood.. reason being? The quickest dish you can think of.. to pair with chappati. Whenever I used to be very hungry, mom used to prepare this in less than 10 minutes; so I had always known this in one dal I can eat if I want to eat something, like right now. And it still is my favourite; because, well, I too prepare it within 10 minutes; one pot-cooking, easy, easy basic ingredients required.... So many benefits.. right? Ha! That's why I love this dal !! Wash and drain urad dal and keep aside. Heat oil in a pressure cooker and temper cumin seeds and add asafoetida. Add the onions after 10 seconds and sauté until they turn transparent. Add garlic and fry for another minute. Add ginger, tomato and green chilli. Mix well. Add salt, red chilli powder and turmeric. Mix well and let cook for 2 minutes. Add the dal and mix well. Let cook for about 2 minutes. Add a little water (1/4 cup) and mix well. Put the lid on the cooker and the pressure. Cook till 2 whistles. Turn off the flame and open the lid when pressure is released. Garnish with coriander leaves (optional) and serve hot with any roti/paratha.